This image, snapped by Cassini as it passed over Saturn's moon, Titan, shows the biggest liquid system ever found on any world other than Earth. 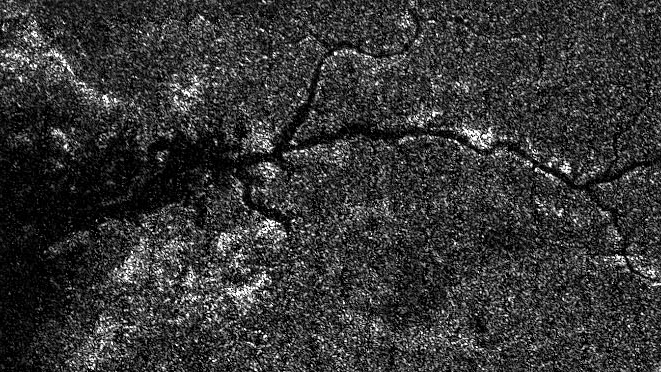 Scientists have observed lakes and streams on Titan before, but this river is by far the largest yet: it measures over 320km in length. That's still 20 times shorter than the Nile, but makes the the Titan river the largest body of liquid ever observed away from Earth.